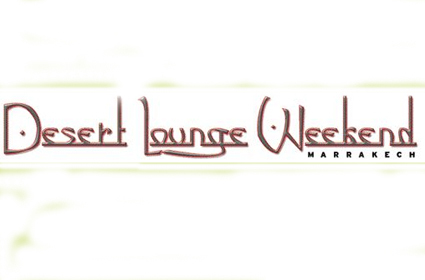 On Friday 17 and Saturday 18 October, Awesome Events presents the Desert Lounge Weekend at Pacha in Marrakech, Morocco. This lavish event will be the grand finale to the 2008 festival season, taking over one of the world's greatest superclubs - Pacha - for a weekend of luxurious partying. Entertainment will be provided by Sister Bliss from Faithless, Dimitri from Paris, and Coldcut. Ibiza legend Bruno, Dutch deck-meister DJ Scream, Madonna's remixers Chus & Caballos, Momo, DJ Costa, Niko and local talent will be making appearances throughout the weekend. With sets throughout the day in the setting of Pacha's swimming pool, there will also be traditional Moroccan food and fine wines available from the Crystal Restaurant before you move into the main club for some serious partying. This promises to be a luxurious and hedonistic celebration of the 2008 summer season in the beautiful surroundings of the foothills of the Atlas mountains. Tickets are 60 euros per day or 100 for two days and can be purchased via the link below. There are various flight options to Marrakech. Information on Pacha can be found at www.pachamarrakech.com.